Create a fake wifi access point and monitor all the traffic that comes through. Windows 7 host and Kali linux VM. The host can be any operating system. The Kali linux must have access to the internet. Wifi Adapter which supports monitor mode. mine is Edimax EW7711USn. 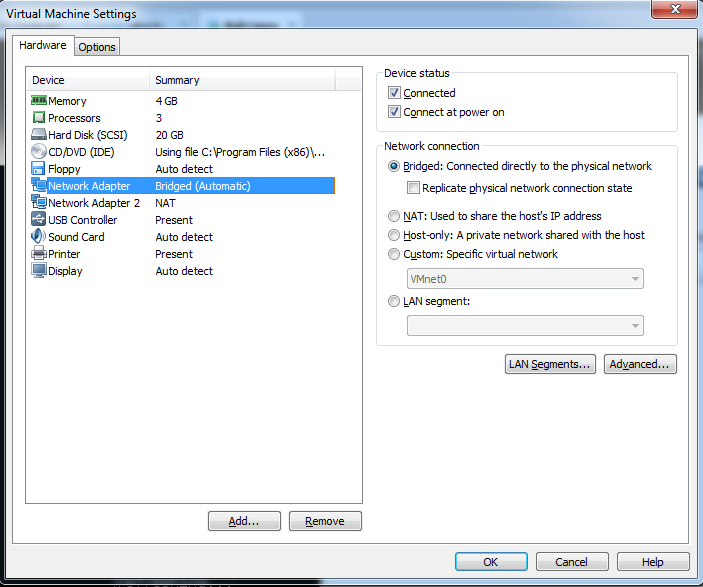 The Victim connect to the Virtual access point which passes the traffic through the attacher PC via the USB Wifi Hotspot. using ettercap to sniff and sslstrip to overcome https, the packets are logged and rerouted to the interface connected to the internet. Install WICD: WICD is an open source wired and wireless network manager for Linux which aims to provide a simple interface to connect to networks with a wide variety of settings. keep pressing YES untill the install is finished. My Machine gateway is 192.168.129.2. We are going to use the gateway with the DHCP server that we are going to install in the next step. After that, configure the DHCP Server in the file /etc/dhcpd.conf. in case the file was not empty for some reason, remove what there and fill it with the next content. Notice that you can select any legal DHCP domain you like. Connect the Wifi Adapter now it must support monitor mode. Mine is Edimax EW-7711USn and run the command airmon-ng to list the monitor device. Found 5 processes that could cause trouble. a short period of time, you may want to kill (some of) them! Please notice that the monitor mode is enabled on mon0. Now is time to create our fake wifi: Since I am working with the 802.11b wifi, the channel must be between 1 and 14. i choose 11. 02:39:23  Access Point with BSSID 80:1F:02:F7:6D:C5 started. Don’t close that terminal, or the wifi will be disconnected. please open a new terminal in order to continue the configuration. Notice that the Wifi is up and running, However, some tunneling adjustments must be done in order for the connected victim to reach the internet. follow that on the next steps. after that, lets give the interface a high MTU so there won’t be packet fragment so the victim will enjoy a fast and comfortable trap. However, the airobase-ng will assign a new value to at0 and mon0. Copyright 2004-2012 Internet Systems Consortium. Wrote 0 leases to leases file. Start the dhcp server: Notice you may get error telling that the dhcpd,conf is not found. in this case copy the file from /etc/dhcpd.conf to /etc/dhcp/dhcpd.conf. [ ok ] Starting ISC DHCP server: dhcpd.